Just back from Christmas vacation down in New Zealand. 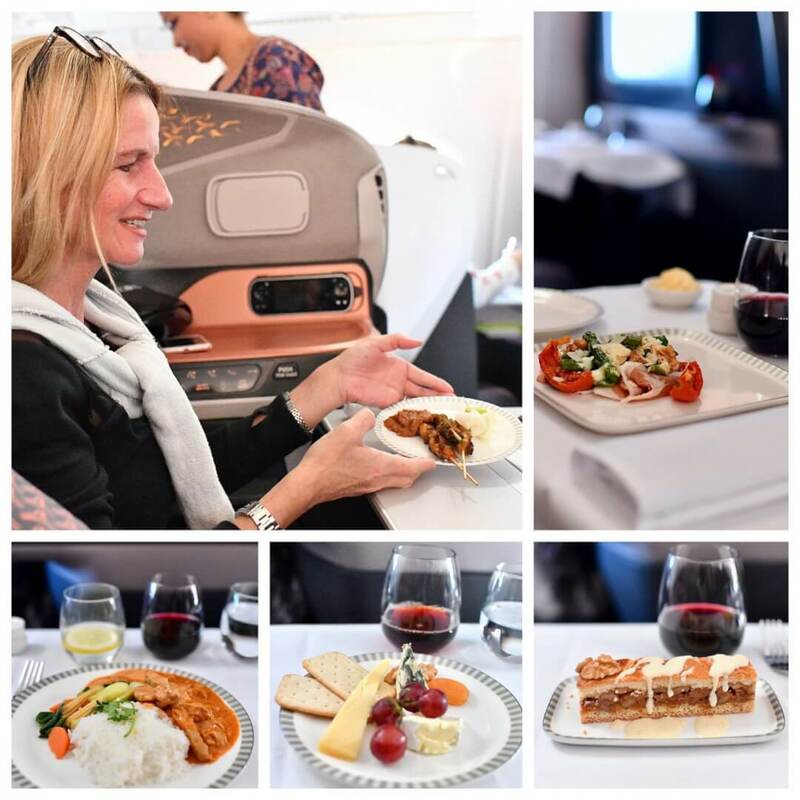 This trip we were lucky enough to try out Business Class on Singapore Airlines new A380 carrier. Singapore has always been my favourite route whenever flying down to New Zealand. Probably due to a number of factors including the great shopping in Changi airport, the fact that a BFF of mine lives in Singapore and last but not least that Singapore Airline has traditionally been my favourite airline. 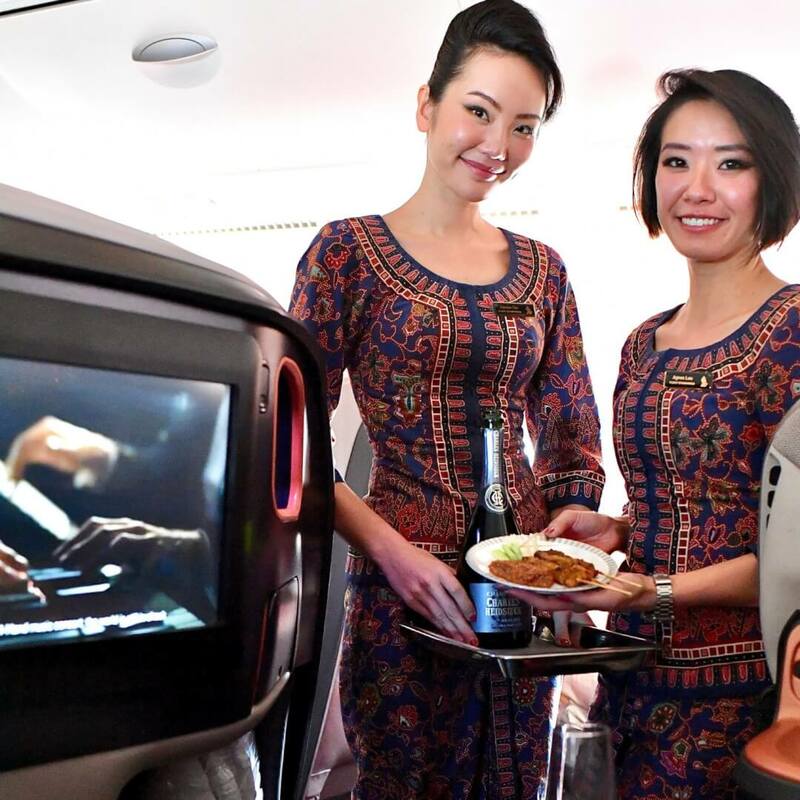 See previous article about Singapore Airlines Premium Economy here. 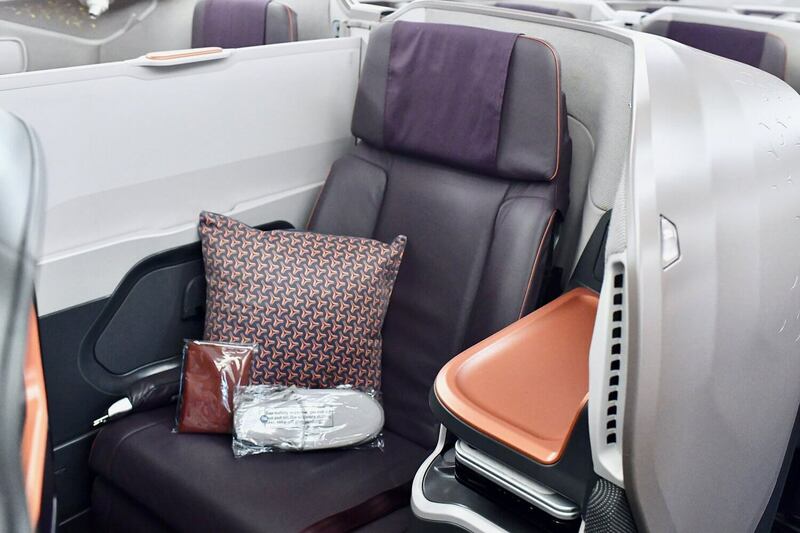 This post gives you a little preview of Business Class in the new Singapore Airlines A380, as well as a few tips for your next Singapore stopover. Last year, Singapore Airlines new A380 was introduced to Zurich. 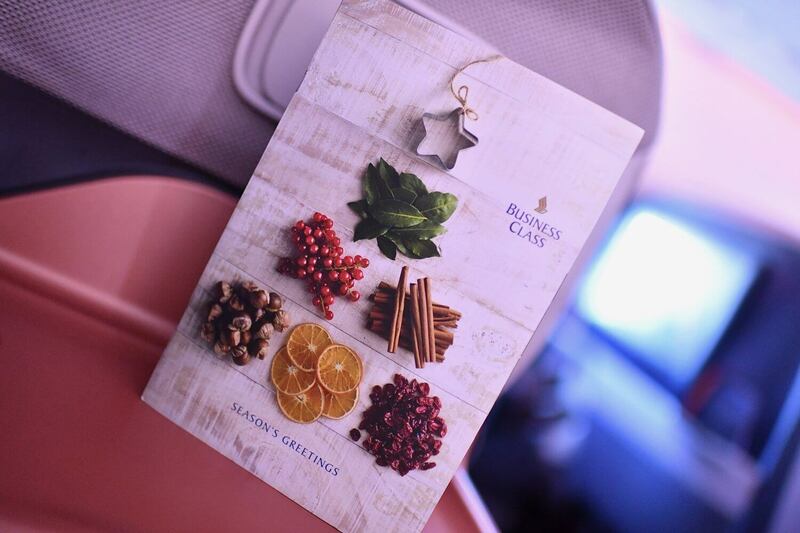 The aircraft has had a major revamp throughout each class but this post focuses on our trip in business class. 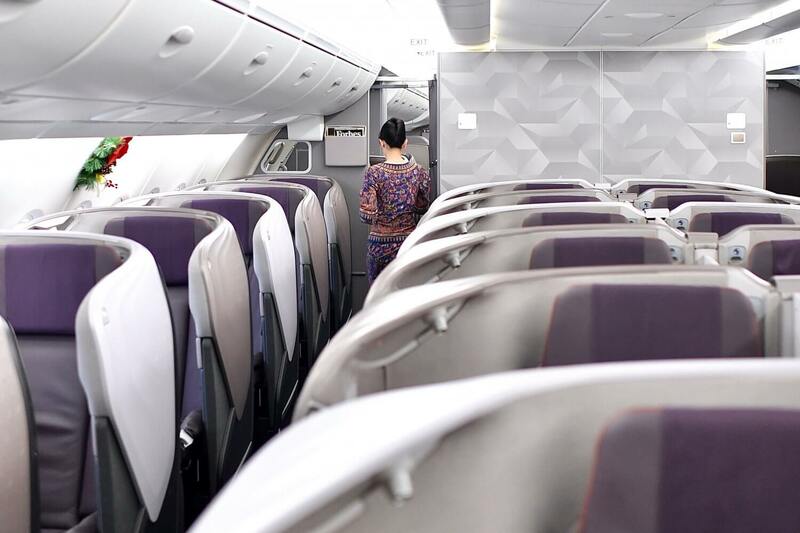 While the cabin retains its 1-2-1 configuration, it features new seats and a whole new cabin aesthetic. For a start moving away from brown tones to a bright and cheerful purple with copper nuances. If travelling alone window seats are best. New is the the barrier in-between the centre seats. It can now be pulled right down, making it much cosier to travel as a couple. Best couple seats are the bulkhead as these can convert down to a proper double bed! Check in early to book one of these as they go fast. Whilst it’s now easier to convert your seat to a bed by simply pushing the button on the side the leg space is now to the side rather than straight forward. The exception being the bulkhead seats. This photo was taken on our way down to Singapore in December 2018 with slippers and amenities pouch waiting for us on our seats. There is far more storage space and a magazine holder, which is great for storing a laptop, during take-off and landing. I personally appreciated the various lighting options available. Now you can have the bright reading light or various sublime options as you wish. Isn’t the light in the picture above cute! 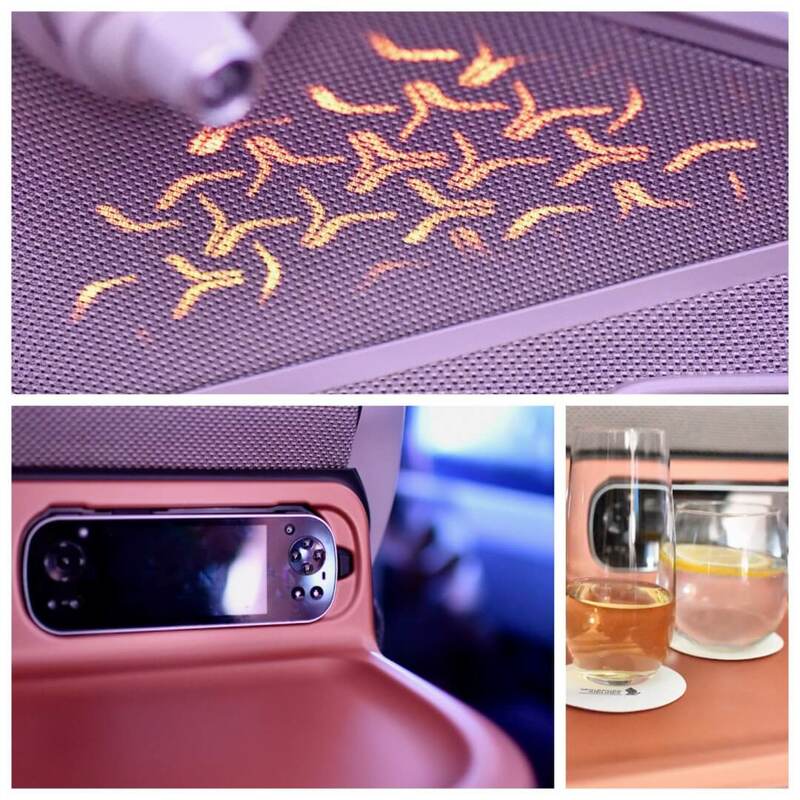 Each seat has a lovely wide entertainment screen which is controllable by both touch screen and remote control. Many people choose Singapore airlines because of the service – this photo tells 1’000 words, especially as it was taken by me and not for one of their advertisements. Champagne and satay sticks are my favourite way to start any flight – smile! Here you see what we ate for dinner during our flight down to Singapore. Breakfast is served approximately 2 hours before arrival and in-between there are plenty of snacks to choose from. In addition there’s the added benefit of Book-The-Cook, more details here. 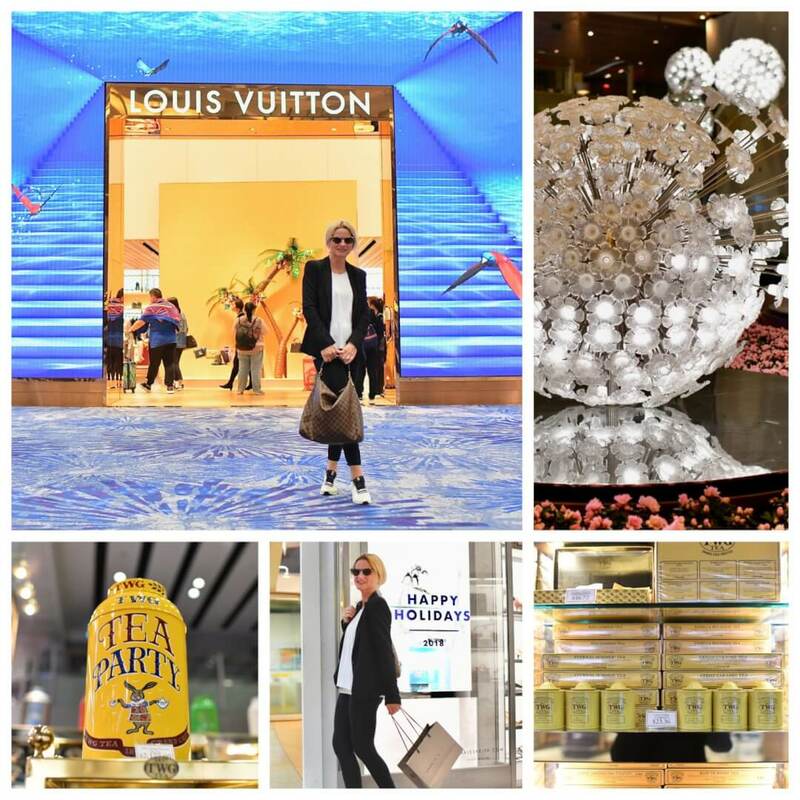 Always my favourite airport for shopping – a pair of Charles and Kieth shoes and some TWG tea are obligatory purchases each visit. SIA Hop-on – Hop on and off at your own leisure to visit ethnic districts, major attractions, entertainment hot spots and get your winning Singapore city photos. Adult tickets from $19.50 (free for Singapore Explorer Pass Holders), and can be purchased on the bus. Free Singapore Tours – Perfect if you have more than 5.5 hours transit. The Singapore Explorer Pass – gives you access to more than 20 attractions and benefits over the duration of your pass. You can choose from a 1 – 3 day pass. One day passes start at SGD 60. We enjoyed the new plane very much, especially the design features. 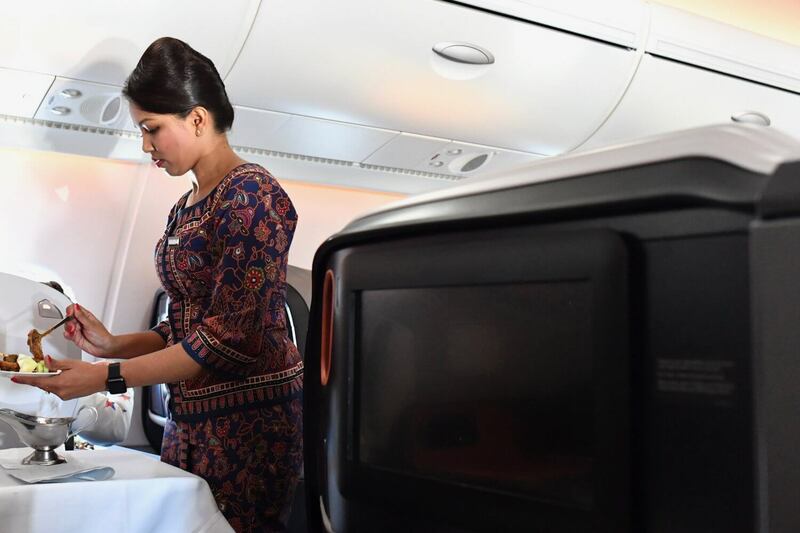 This post was written in collaboration with Singapore Airlines but all opinions are my own. Yes, it would be fun to fly together! So true, a good flight really does make a big difference. 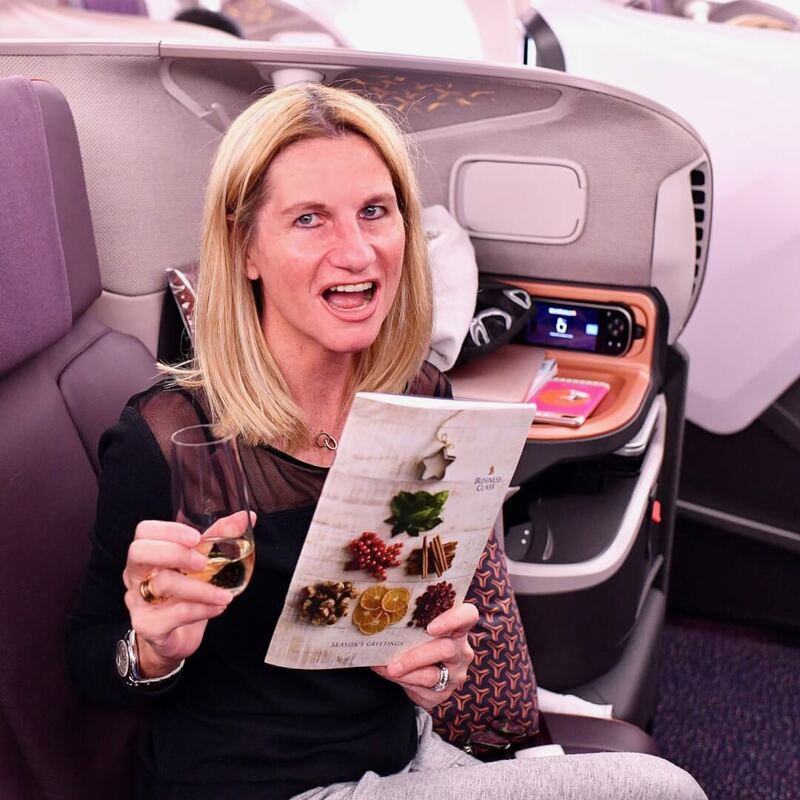 I love Singapore airlines and fly with them when I can , I think they are a cut above most other airlines – except in one area….I don’t fly business very often, but when I do, I like to have special treatment. I think Singapore should give a little goodie bag with a hand cream, lip balm, etc to their business class customers. For me, this little gesture is missing from the business experience.